We keep all vintage parts and accessories that come into the compound. We might have what your looking for! 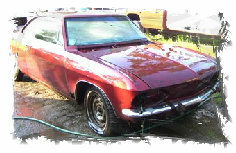 If your'e looking for a project car at a reasonable price contact us for a current inventory list!